Summers in Butler NJ can be full of fun, from backyard barbeques to picnics at the park. However, if your home is not cooling down when you crank up the ac, you may be in need of ac repairs. Don’t let your home stay hot this summer- contact All Week Air Conditioning Company today! While most of us don’t like spending money on home improvements and fixing issues, it is necessary to keep your property safe and healthy. An old, unmaintained cooling system presents several potential problems. First, if the air filter is dirty, then the air that is circulating throughout the ducts and vents in your home is going to be dirty, too. Also, the compressor is kept outdoors, and it can become dirty and clogged with debris. These issues both highlight why air conditioning repairs and regular maintenance are so important. To keep your residential air conditioning system in great shape each summer, you will want to use a NATE certified technician from a licensed & insured service. All Week is pleased to offer 24/7 emergency service, in addition to ac installations and annual service plans. Commercial air conditioning installations are another service that we provide. 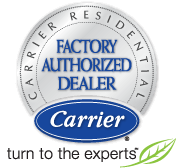 We support major air conditioner brands, so when you hire us, you are assured the best quality in both products and services. This summer, depend on the best for your cooling needs. From annual maintenance to brand new installations, we’re the service experts that you can count on in Butler NJ. Call All Week today, and we’ll keep you cool!